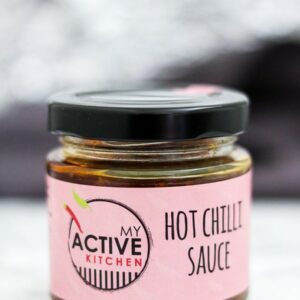 Here is another delicious 5 minute recipe. 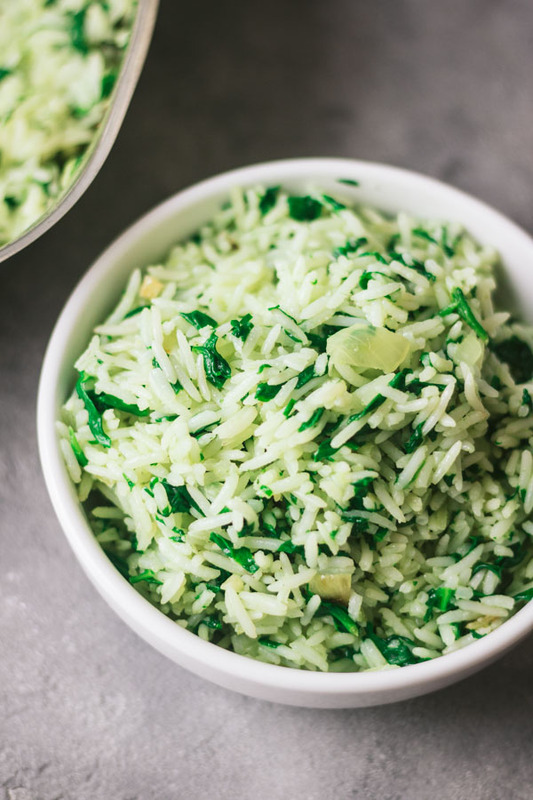 This simple Greek spinach rice (spanakorizo) is flavourful, delicious and can be perfectly served alongside almost any mains! In case you are thinking why I claimed this rice dish would be ready in five minutes, Here is why; I used pre-cooked rice and that cut down the cooking time a lot. 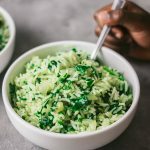 This spinach rice recipe is a fun dish and it’s a perfect way of making the family eat their greens. 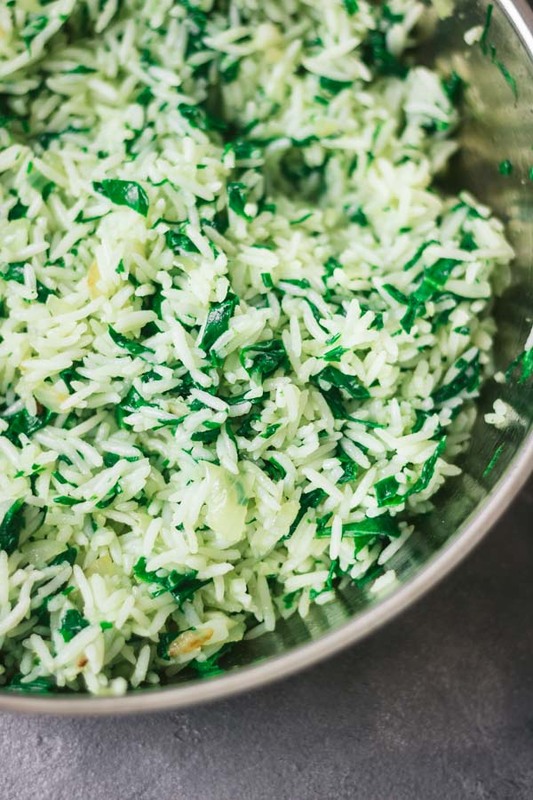 Spinach rice is originally cooked with raw rice as a one pot dish. The dish originated from Greece and it’s called spanakorizo. This is my spin on the Spanakorizo and I hope you enjoy it. 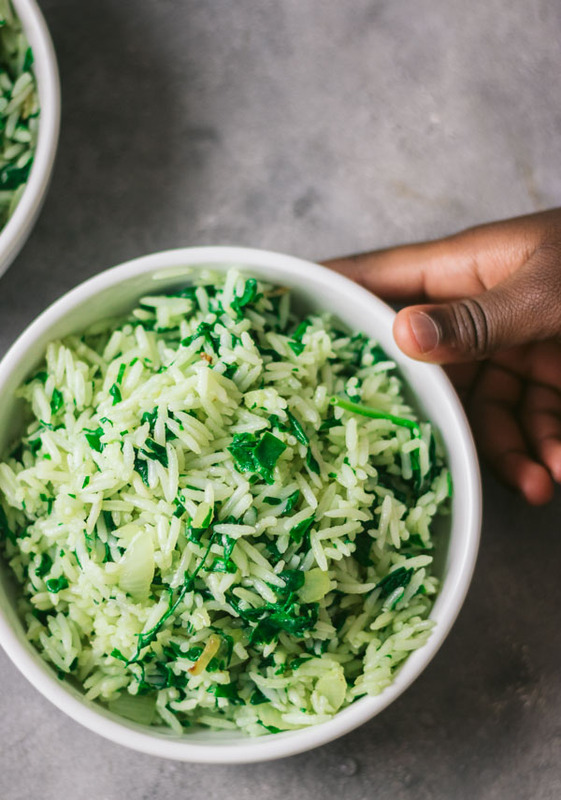 This simple rice and spinach recipe would make a great addition to your usual rice dish. 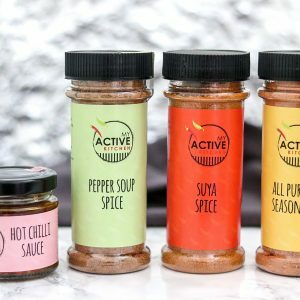 It is amazing how the flavour comes through with just using simple and everyday spices. Can I make a confession? my six-year-old daughter made this rice with my supervision. Honestly, this is not a click-bait, it is the truth and that would tell you how easy it is to make this lovely dish. The only hard job in making this super easy rice recipe is chopping the vegetables and that would only take 10 minutes tops. As mentioned previously, this recipe is a perfect side for any dish. We had ours with chips, coleslaw and periperi chicken (Recipe will be updated soon). Life is too short to eat plain white rice alone neither is it just for jollof rice nor fried rice too. Most importantly, spinach is a great source of iron, I preserved the nutrient in this vegetable because I didn’t overcook it. Saute onion and chopped garlic till translucent and oil is fragrant. Add chopped spinach, chives and stir fry and till spinach is wilted. At this point you can decide to add a little bullion powder to the spinach if need be (this is just to enhance the taste since the original recipe calls for broth). Lastly, stir in the cooked rice and mix till well combined. 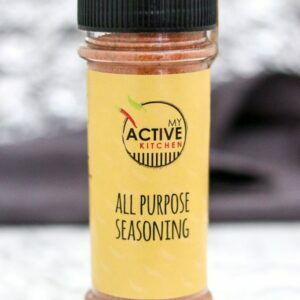 Check for salt and seasoning and adjust accordingly. Finish it off with a squeeze of lemon. I didn’t use lemon in this recipe as I didn’t have any at the time this was made. 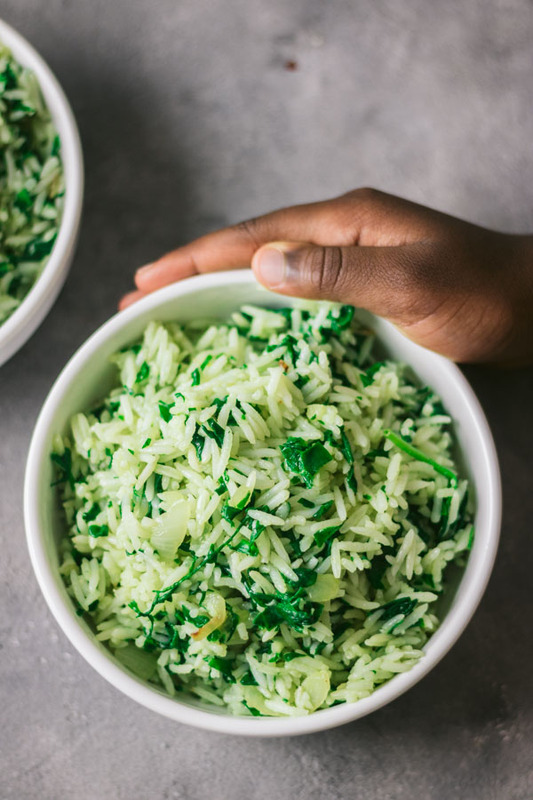 This spinach rice is great for meal planning and it keeps well for up to 3 days in the fridge. 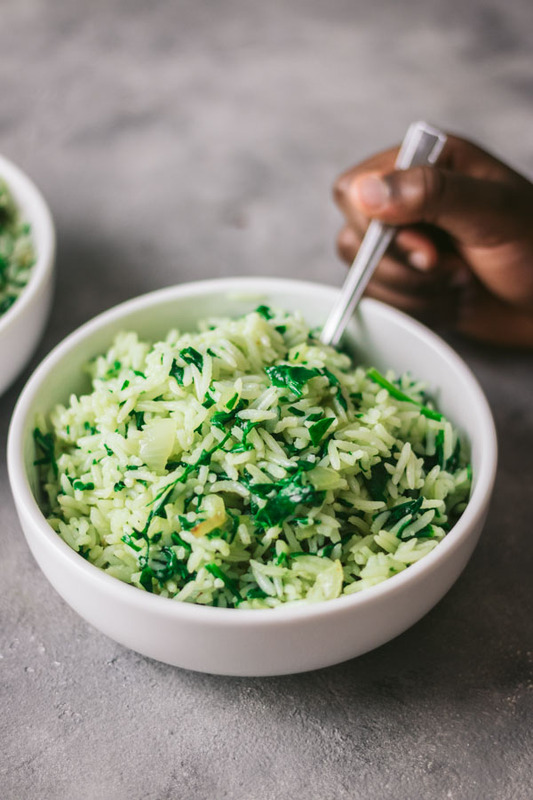 This simple Greek spinach rice (spanakorizo) is flavourful, delicious and can be perfectly served alongside almost any mains! Add rice and stir fry till well combined, check for salt and seasoning and adjust accordingly. Serve rice warm with a squeeze of lemon. If you would be using raw rice, follow the stir fry steps and add the raw rice. cover this with broth and simmer until rice is tender and fluffy. Check for salt and seasoning and adjust accordingly. 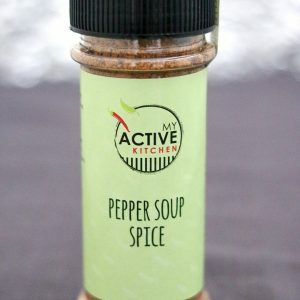 it is important to use broth for this recipe for flavour. This is the reason I used bullion powder as I stir fried the rice. I have tried this and i must say it can be trusted. Making this definitely. Can I substitute the spinach with some other vegetable? 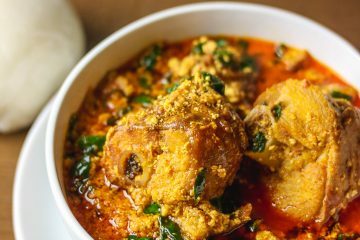 Hi Tembi, the addition of tuna sounds yum, now I can’t wait for your feedback. This looks lush! Can it be eaten on its own?